It is now possible to order one of 50 signed posters from the exhibition Isaac van Amburgh and his Animals. 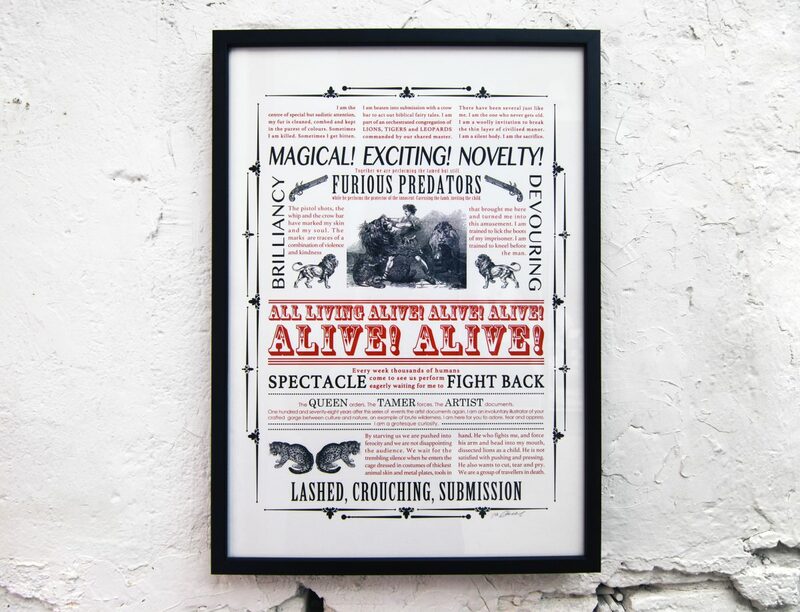 The poster is a text-based work where the non-human animals portrayed in the painting Isaac van Amburgh and his Animals by Edwin Henry Landseer tell their history through a collective we and I. 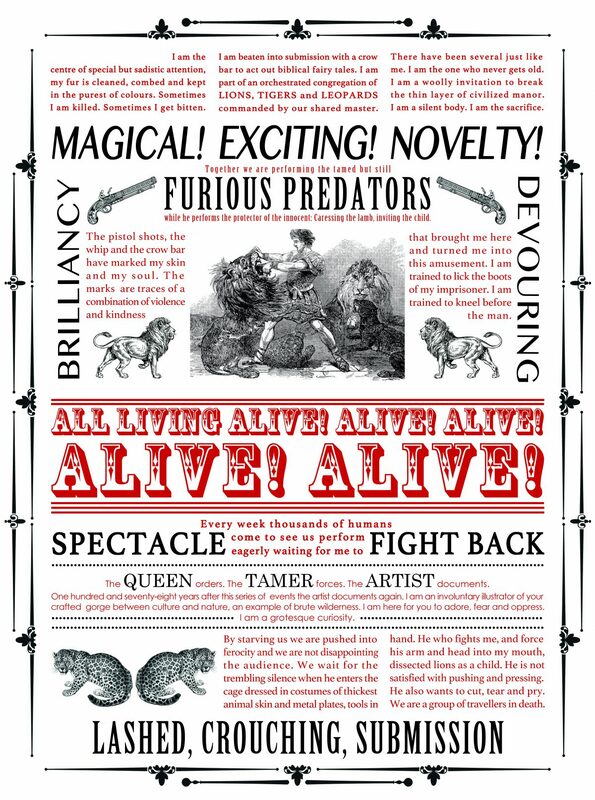 The text takes the form of a poster inspired by the thousands of posters spread across London during the weeks Isaac van Amburgh and his travelling menagerie visited the city.